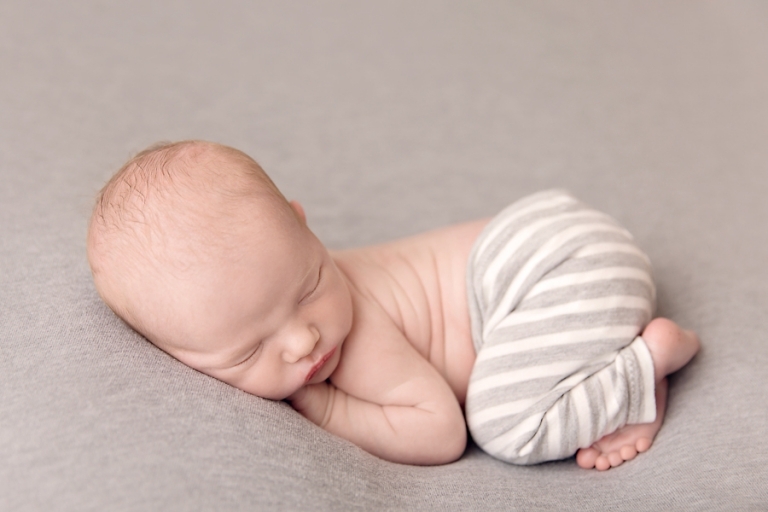 Welcome, baby Remington to the Cleveland newborn photography blog! I had the pleasure of meeting this sweet boy’s parents a few weeks back for his momma’s maternity session. They are the nicest family and I am so honored that they choose me as their newborn photographer! It’s always such a special time for a family to welcome a new member and the moments are so fleeting. I love the bum up pose and grey is all the rage right now for neutrals! These pants from Baby Bliss Props go perfectly with the background and are so soft! How sweet is his little face and those rolls?? It’s always my favorite and I can get such a great variety with just one pose. It might not be taco Tuesday, but this little guy loved the womb pose. See those little toes poking out? Don’t cringe, babies usually love this because that’s how they were curled up inside their momma! 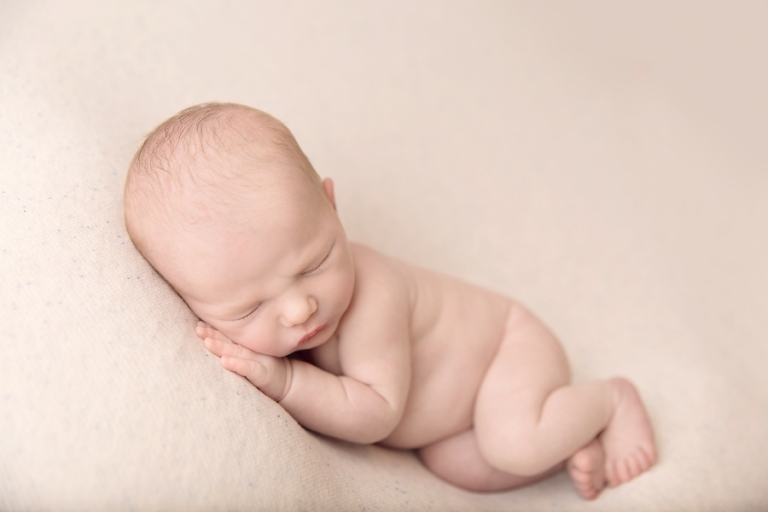 Most babies love this pose within the first two weeks, after that their flexibility decreases greatly. Ahhhh, they really are the sweetest family! It makes my heart so happy to see such a great couple blessed with a little one. That little profile is so adorable! I love this bonnet by Stitches By Sarah! It fits all my littlest clients just perfectly! Okay, I will admit, this babies in buckets thing is an obsession of mine. But how sweet does Remington look in this bucket and layer by Rozzi Rayne Studio Props? It’s so timeless! Thank you so much for stopping by the blog! 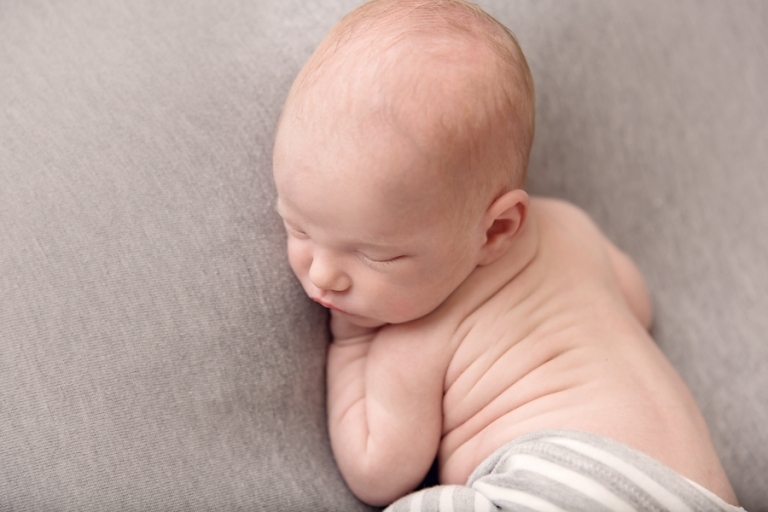 Looking for a Cleveland newborn photographer? Please check out similar blog posts and the studio. 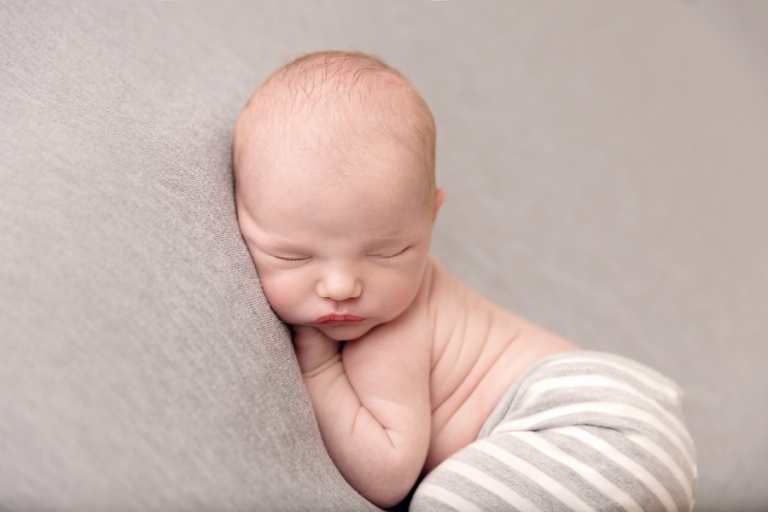 I would be honored to document your little one’s first days in the world! The best time to schedule is in your second or third trimester. Please contact me today!